Flow is a state of optimal performance. We work with individuals, teams and organisations so that they can engineer these flow states and be up to 500% more effective…selfless, timeless, effortless, richness. Challenging the traditional workshop delivery and coaching process so that you can get the most from your investment. Introducing cutting edge content that facilitates optimal performance and flow. The results of this work allow participants to be in flow at least 15% of the time, performing optimally when they need it most. This equates to about 2.5 hours a day. However, only about 11% of the population has a ‘questing disposition’ that allows them to regularly find flow. Our programmes create awareness of these altered states as well as daily practices that boost performance. This is a new paradigm of learning because we focus on state, not skills development. The development of state is universal, whereas the development of skills is dependent on individual needs and competence. It can be hit and miss at best. One’s state is the ‘on ramp’ to skills; without it (e.g. 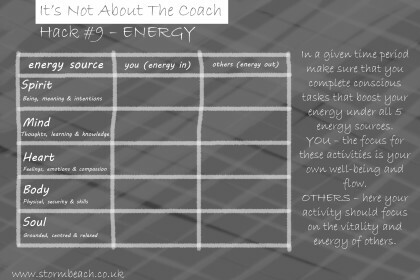 depleted physical, emotional or intellectual energy) the ability to access skills is limited. Developing authenticity (so that our ‘inner’ values are skilfully exhibited in the ‘outer’) is a sure fire short-cut to flow. Make informed choices about coaching and discover readiness for accelerated learning. Book and ebook available from Amazon. 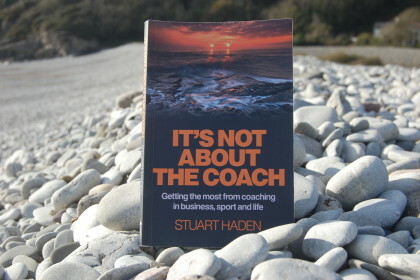 With a passion for optimal performance, leadership and coaching Stuart Haden founded Storm Beach in 2005. Inspired since his childhood by a beach on The Gower Peninsula in Wales, UK. A storm beach comprising of pebbles, allowing natures energy to be easily visible. Storm |Stôrm|- a disturbance of the atmosphere. In the context of optimal performance and flow states our work creates disturbance. Gently lapping the shores; imperceptible change. Or, like the high tides and storms our energy might shake up the culture by delivering life changing programmes; transformational change. 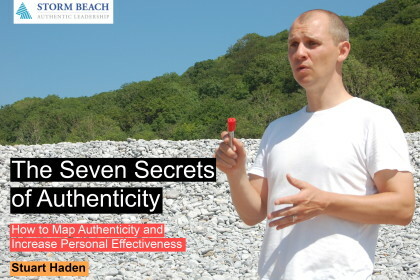 Sign up to our Blog on the latest about Authentic LEADERSHIP.